Dedicated to the HIGHEST STANDARDS of care for your Face, Neck, Ear, Nose and Throat needs. This state-of-the art facility offers leading edge technologies and advanced clinical techniques in the medical and surgical management of head and neck disorders . In association with premier local medical/surgical centers, Lamorinda ENT Face & Neck Surgery offers the finest proven and emerging therapies to address your needs in Lafayette. At Lamorinda ENT, Face & Neck Surgery we take pride in delivering ear, nose, throat, face and neck services in a personalized manner and a comfortable environment. 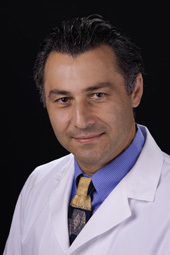 Dr. Sassan Falsafi is a Board Certified Otolaryngologist and the founder of Lamorinda ENT Face & Neck Surgery, Inc. He brings greater than ten years of surgical experience to his clinical practice. His surgical experience is extensive and includes all areas of the face, neck, ear, nose, and throat. Dr. Falsafi's special interests are in cosmetic and functional nasal surgery (Nose), in-office Balloon Sinuplasty (BSP), and minimally invasive Functional Edoscopic Sinus Surgery (FESS) . Click here to contact our office to schedule a consultation.